On The Foggy Green Lawns of Time, Would You Like Some Of My Tangerine? “Would you like some of my tangerine?” Inevitable, when I hear that famous Sopwith Camel line, that I should see their lead singer, Peter Kraemer, strolling out the door of the SF State Commons with his main man Chris Latham beside him and he’s looking for Lori Haymann because he’s got a mad crush on her and he’s eating something small and orange as he walks. 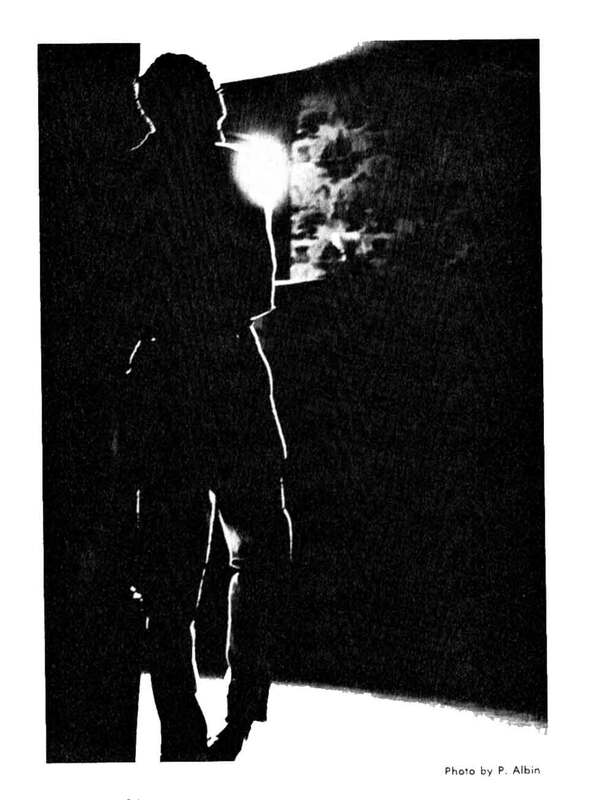 It’s a warm October day in 1962 1963 1964 1965 at San Francisco State and the folkies are sitting on the grass on the right hand side if you’re coming out the door with their guitars and mandolins and dulcimers and five-string banjos and their House of the Rising Sun and no one has yet got the idea to start a rock band, and the bearded peaceniks are setting up a blue felt-covered table next to the Young Americans for Crewcuts where they can harangue each other in peace while the Cost Plus peasant-skirted and sandaled angel girls of my youth admire and accept Peter’s tangerine or possibly mock him and look for someone with a pomegranate, but in the most fetching way ah ah Roseanne Forest, Eva Bessie, Lucy Lewis, Robin McGill, Shauna Pope, Bess Farr, Natasha Someone thanks for dropping by my vision I wish you were all still here today on this planet to mock us more and let Peter peel an entire tangerine for you. 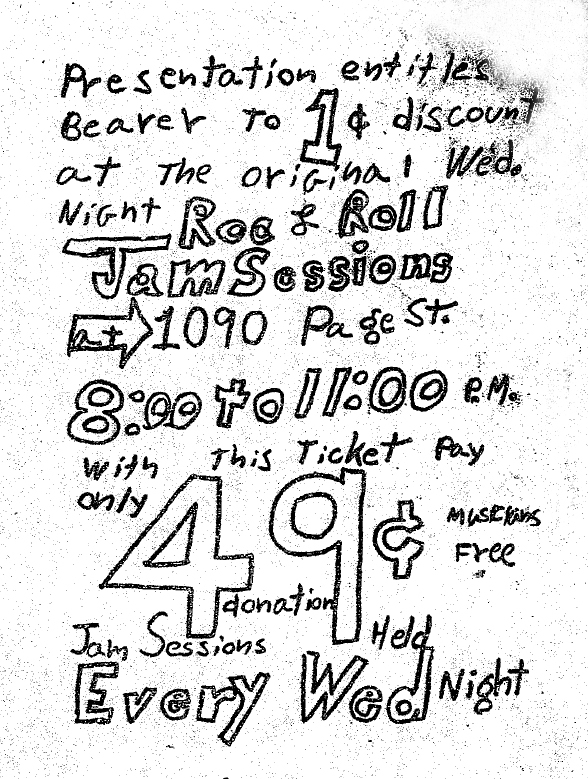 Ah ah to be “one of the Bay Area’s most exciting new rock groups…setting attendance records at the Matrix that surpassed the Jefferson Airplane, the Greatful (sic) Dead and even Quicksilver Messenger Service.” And now “approaching their first recording session” with New York folkie producer Eric Jacobsen looking for a quick hit, which he found in Peter’s uniquely friendly voice and Martin Beard’s well-constructed, funny bass solo. And, of course, the vibes from a sunny October afternoon on the San Francisco State lawn. Hello Hello charted at #26 on Billboards’ Top 40 Hits of 1966, right behind Gene Pitney’s long-forgotten Backstage. Kama Sutra records sold them as five zany but safe guys with clean hair and kazoos, hugging silly absurdist trees like the Monkees did. They went along with the gag, who wouldn’t? In 1966, the idea was hits, lots of hits like The Lovin’ Spoonful, like The Mama and The Papas. There was no model yet for any other kind of rock band. The only thing the Camel did was wrong was to stay out of the charts too long. 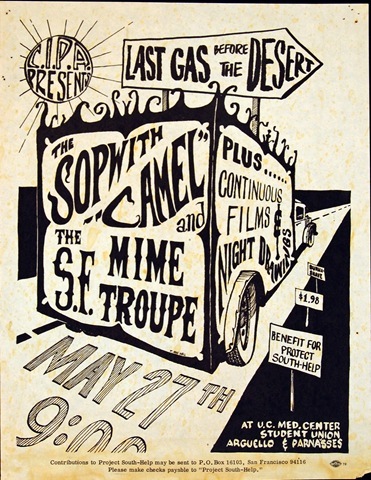 Before Hello Hello, Sopwith Camel was one of the top attractions on the San Francisco ballroom circuit, after Hello Hello, they basically disappeared for the moon. A shame, really, because the band got better and better. 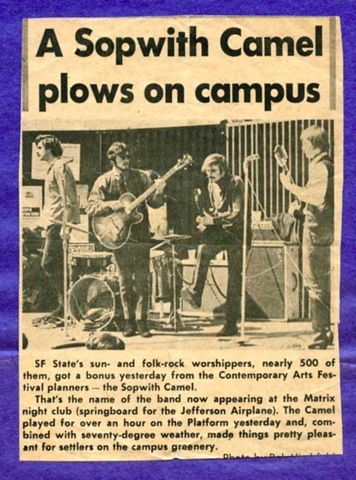 For a free listen , check out their 1972 album, The Miraculous Hump Returns From The Moon at the Sopwith Camel website. So now it’s 2010. The honey-pale moon lay low on the sleepy hill, so I fell asleep in a dell high up on San Bruno Mountain and there amongst the nodding garter snakes and elfin butterflies I dreamt a sleeping giant, the 21st Century Sopwith Camel was trundling towards San Francisco to be born yet again. We had a great debut with new lineup at J. Tony Serra’s Halloween party in the Great American Music Hall, lights and sound and all. Martin Beard, original bassist & self from the ballroom days, and Mike McKevitt, and Bruce Slesinger, with whom I’ve played occasionally for years. Mike and i were in a big avant garde blues band around Y2K; Bruce was the drummer for "The Dead Kennedy’s." We are very modern, nice and loud and psychedelic and now we need a gig. The Great Lemming Migration to San Francisco was still a few years away in 1965, the year this photo of Marilyn was taken. In those days, if you were young in the Haight, you had probably been born and raised, in descending order of likelihood, in San Francisco, Marin County, the Peninsula, Los Angeles, or New York City. Wanderers from other climes were not unheard of, but they weren’t common. Marilyn was part of the important LA contingent. She was a seamstress, a costume designer and she lived upstairs from the Pondering Pig at the Page Palace along with Beatle Gary (this was so early that a Beatle haircut was an identifying mark), a drummer named Johnny Chance who refused to deny his collection of Beach Boys records, a pimply guitar player whose name I’ve forgotten but who wrote a song about the ‘moire patterns of his mind’ – very op art, and Al Nieman, who deserves a blog post all on his own. Marilyn was the lone chick, and as such had a certain flurry of activity around her at all times. 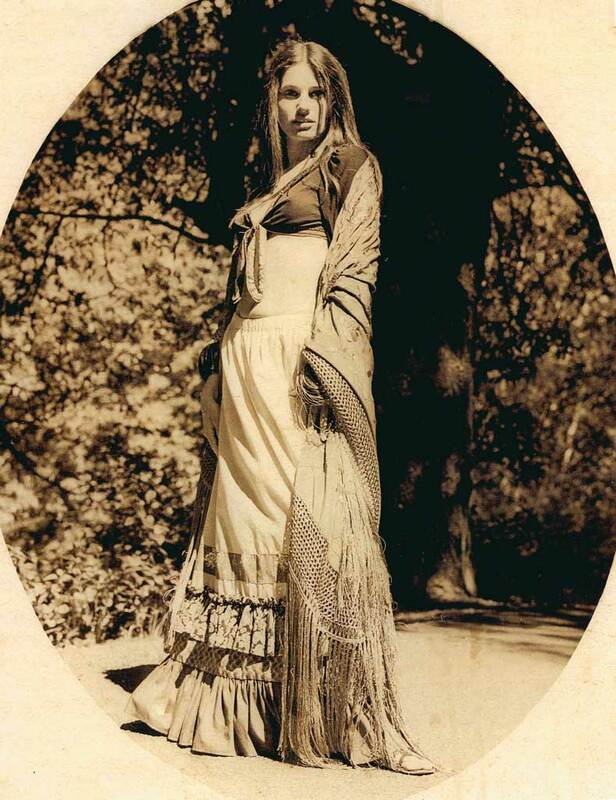 Besides, as you can see, she was a babe. 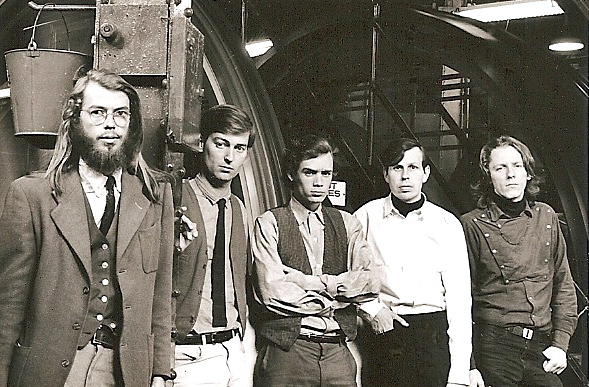 I lived downstairs with a much grungier assortment of beatniks and proto-hippies, including Allen Cohen, who later became editor of the San Francisco Oracle. He was one of the significant influences in my life and well deserves his own post. I took Marilyn out to dinner one evening, to Connie’s West Indian Restaurant, the only cool, but a little bit nicer place on Haight Street. Whatever I had hoped to gain from the evening, if anything, came to naught when I discovered I had not the wherewithal to pay for the meal. How embarrassing! 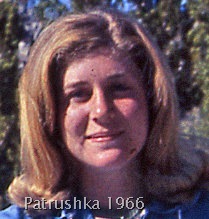 Fortunately, Marilyn had funds of her own and saved the day, but at the cost of any coolness credential I could claim. Especially when I forgot to pay her back. What a scuzz. I had a lot to learn about how you treat a lady. Anyway, Marilyn was a class act. She’s wearing one of her creations. 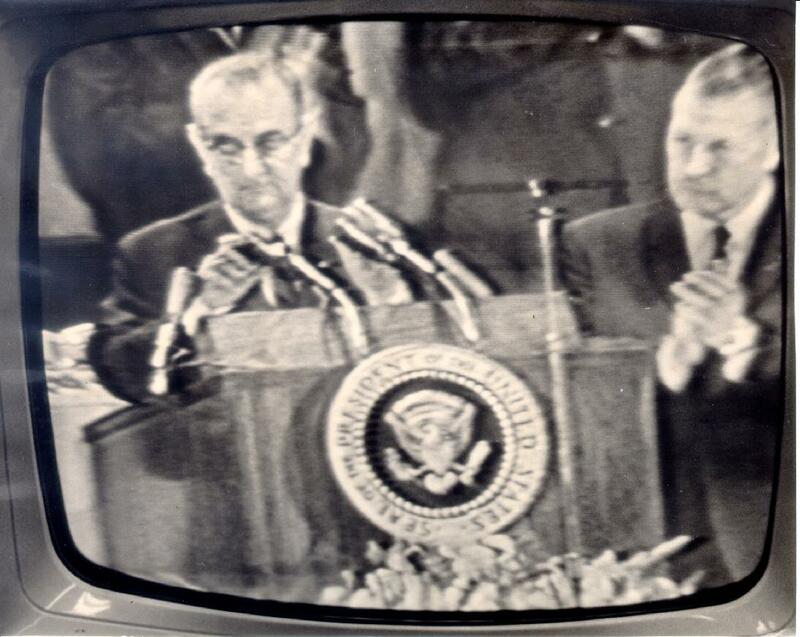 Check out that Nehru collar – sleek, elegant, minimalist, very mid-Sixties. The photograph, by the way, was taken by an interesting young Spaniard named Paco Bautista. He grabbed Jackie DiNapoli, one of our own, married her, and hustled her back to Europe where I heard they became rad filmmaker revolutionaries, but I never seen either one again. Ah, Lori Hayman Helms. So beautiful she was. And probably still is. Lori was Chet Helm’s wife, but he got all the glory. 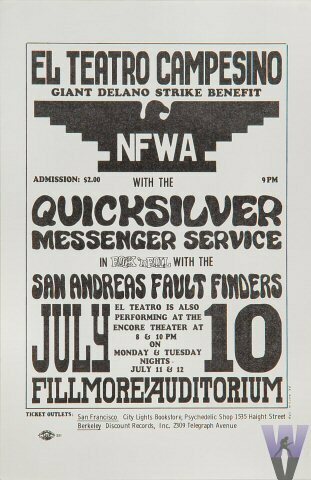 Chet was the outgoing, easygoing impresario with the Texas accent who founded Big Brother and the Holding Company, then went on to pioneer the weekly rock dances at the Avalon Ballroom. 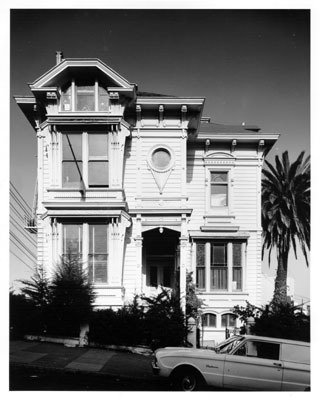 Without Chet and the Family Dog, the Haight-Ashbury as we remember it never would have happened. So Chet got all the press, all the glory. Lori got nothing but grief. I remember their big wedding bash in December, 1965. Chet rented a hall in the Mission somewhere and everybody was there in their finest thrift store finery. What a scene! My date Linda Lovely wore the black beaded flapper dress I’d scored for her at a thrift shop in Virginia City. I knew only my belted maroon velvet smoking jacket, my striped bell bottoms – wool, very classy – my high collared, mod navy blue shirt with its tiny white flowers scattered in every direction, my long flowing Pondering Pig locks and, of course, my shiny black Beatle boots, de rigueur in the era, only these could match the splendor of the occasion. The hippies’ own rock band, The Charlatans, were on form that night, playing the most danceable rock ‘n roll in the City That Knows How, and all the hippies were sweatin’ it out on the dance floor. I ran into my pal Peter Kraemer and he introduced me to his new guitar-playing friend Terry MacNeil. They were writing songs together and getting ready to start a band called the Sopwith Camel. 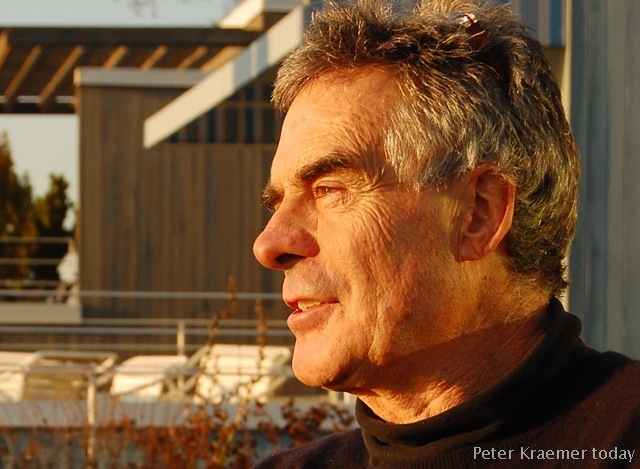 Peter had never sang a note in his life as far as I remember – he was an aspiring filmmaker – but why should that stop him? He was clever, he wrote funny lyrics and, hey, George Hunter, leader of The Charlatans, couldn’t even play an instrument. He’d taken up autoharp so he could hold something onstage. This was 1965, man. Possibility was rife! What a party! Chet was floating, pot was smoking, pigs were dancing, punch was drinking – where was Lori? I hope she was smiling. Lori was a sweetheart and as beautiful as Jean Shrimpton (for those who came in late, The Shrimp was the most famous English Supermodel of the era) but watching Lori was like watching a living Antonioni film – quiet, with big lost eyes. She was hurting inside, even I could see that – but what it was I never knew. She kept her heart hidden. 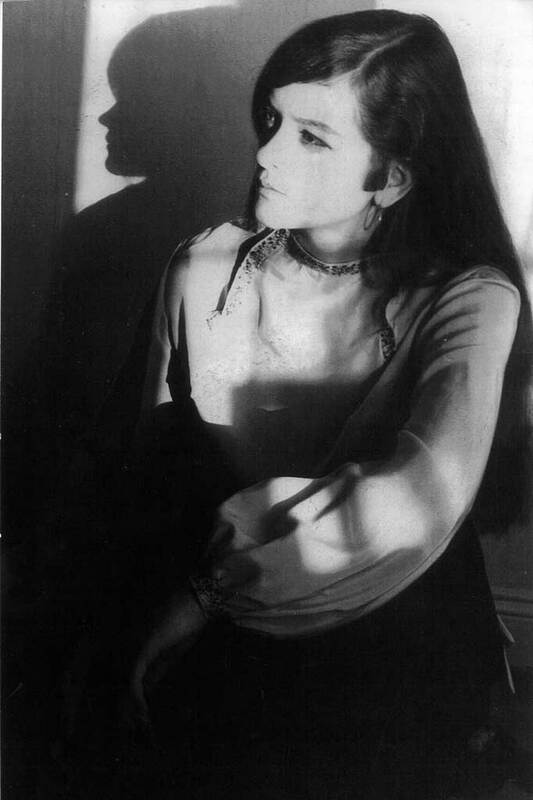 Lori wasn’t unique – it’s funny how many gorgeous bohemians I knew with hearts like that – the Valium generation. I’ve heard vaguely that today Lori is a Shakespearean scholar of some renown. I wouldn’t know, I haven’t seen the kid in forty years. 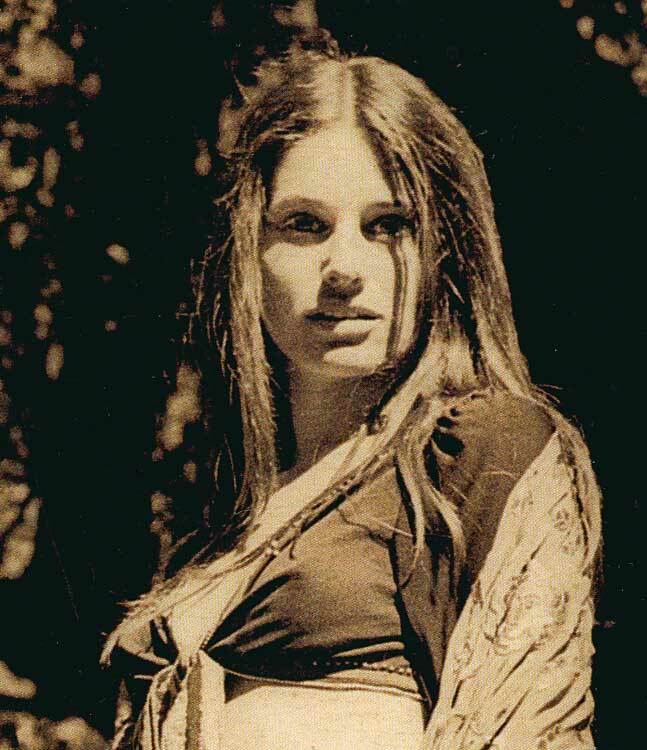 God bless her – and that goes for all you Haight-Ashbury girls. 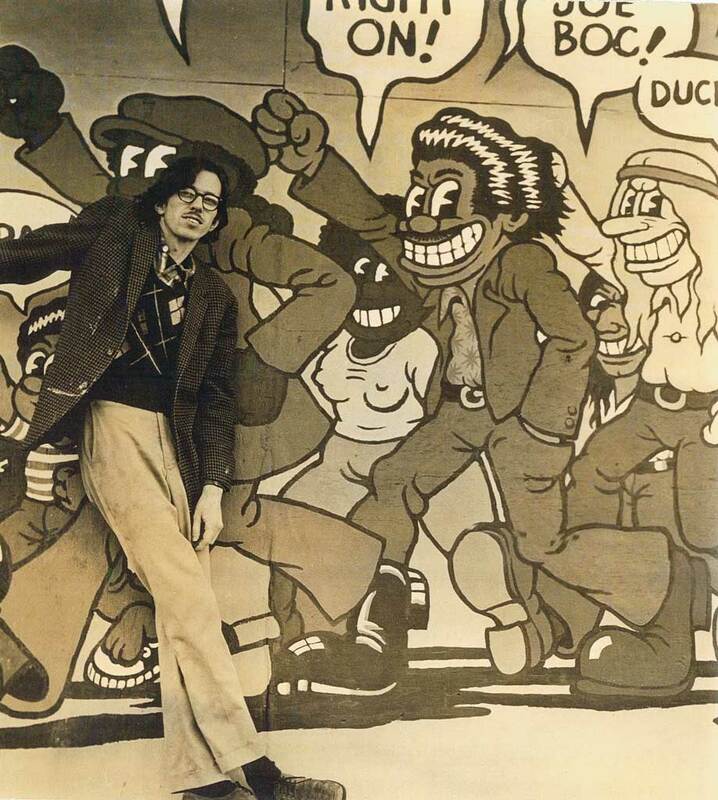 Here’s Robert Crumb in early 1973 standing in front of his mural on the Mission Rebels building, South Van Ness Avenue, San Francisco. Photo was taken by Marilyn Jones McGrew. I’d be surprised if any pig fan doesn’t know who Robert Crumb is, but just in case, Robert is usually credited as the originator of the San Francisco underground comix scene, and by extension, the inspiration behind every underground comic created from 1967 until today. 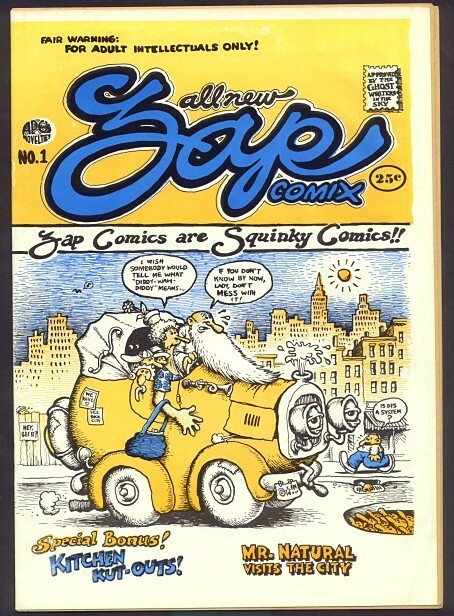 The first issue of Zap Comics, written and drawn that year by Crumb, kicked off the long parade. More from Marilyn Jones McGrew: “Although Jack Jackson’s comic ‘God Nose’ probably predates ‘Zap’, as ‘Jaxon’ was publishing his own underground comic from the Texas State Capitol building in the basement print shop (literally underground) as early as 1964, Robert is generally credited with creating the San Francisco comix scene. ” And, the Pig adds, I was reading Gilbert Shelton’s Wonder Warthog stories in San Francisco as early as 1965. But they weren’t for sale anywhere. They were passed from hand to hand. 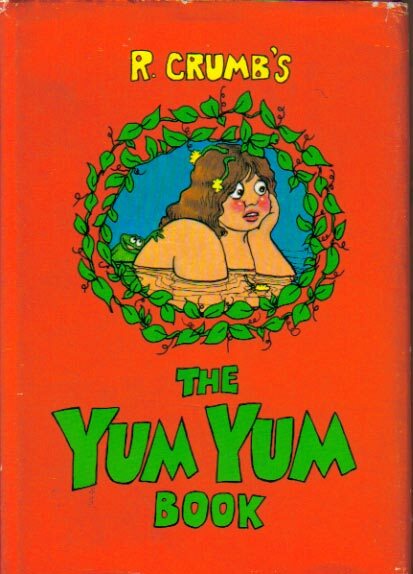 Marilyn continues, “Robert began his book publishing career with a wonderfully romantic full-color illustrated novel entitled the ‘Yum Yum Book’. This documented his obsession and desire for the fully developed female physique; which netted him his first wife, the amazing and completely original Dana Crumb (who is still alive and well in Potter Valley). Thanks Marilyn, for your excellent portrait of the obsessive Mr. Crumb. 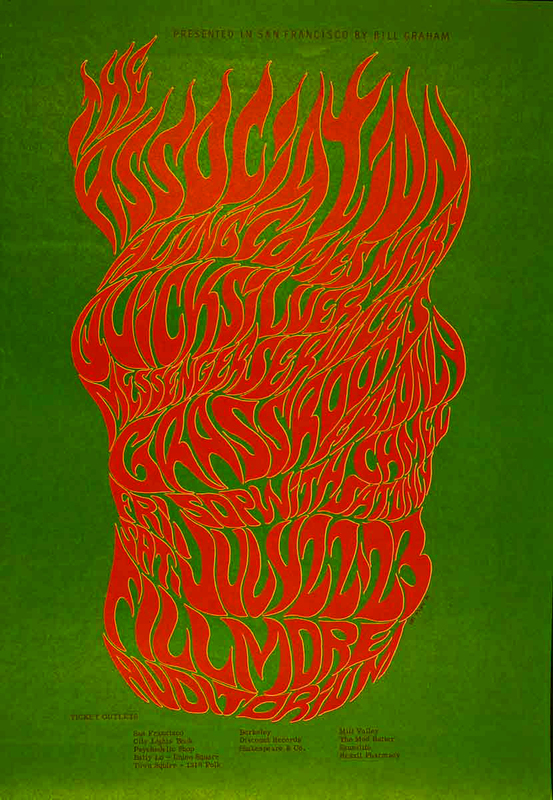 We’re looking forward to more from your archives of Haight-Ashbury luminaries. I called Precita Eyes Mural Center in San Francisco to find out how the Crumb mural is holding up after thirty plus years. It may be holding up very well, but we won’t know unless Crumb reaches Da Vinci status, and the mural archaeologists start removing paint. That’s the trouble with murals. Time passes. Buildings get sold and new owners don’t care about R. Crumb murals. And, apparently R. Crumb doesn’t care much either. His one and only mural is not mentioned on the Official R. Crumb Website. Eva, Colin, Theanna & Wes Wilson. 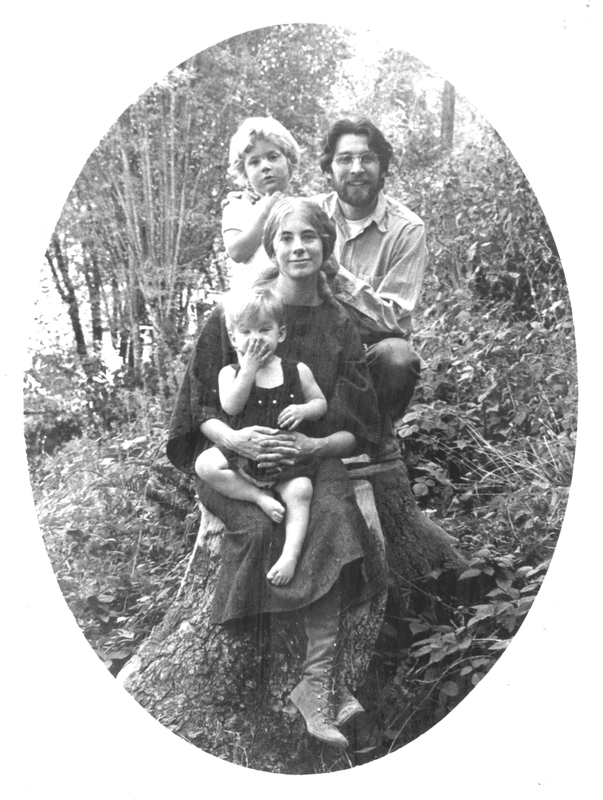 Taken at their Lagunitas, Marin County home, circa 1970. Photo by Harlan Floyd. Back in the mid-Seventies Wes and Eva decided to do the back-to-the-land thing, and, unlike most, they made a success of it. Today, when he’s not rounding up the cattle, Wes practices his art out in the barn – now his studio. Get the full story at Wes’ website: www.wes-wilson.com It’s full of interesting reminiscences about the sixties as well as his more current work. Eva , a luminary in her own right, eventually went back to school, earned her Ph.D and today practices in Missouri as a clinical psychologist. Together since the mid-Sixties, Wes and Eva are a true Haight-Ashbury success story. Way to go, guys.